1. How many households (or units) are each community manager responsible for in your company? Throughout the industry, Homeowners Association Management Company overload their community managers, giving them too many homeowners associations operate. The industry average is about 1,800 houses by the community manager, which is about 500 too many homes. If the portfolio manager of a community is very large, some of the clients in the HOA can be neglected. 2. How many people support the administrator of the community in their efforts? A management company HOA should not only assign an administrator to a community homeowners association, but a team of people to operate smoothly for the association. A well organized team should include a community manager, accounting manager, a compliance inspector, a customer service representative, and a director of community management . 3. Is the community regularly inspected? How often? Who answers the phone when the community manager is absent or inspecting the property? The homeowners association must be inspected for violations at least once a month. The compliance inspector should take a picture of the violation, which is sent with the letters of violation. 4. How long does your team take to respond to calls and emails? The management company must respond to homeowners and the homeowners association board members correspondence as soon as possible, usually within 24 hours. However, Board members must also have the number of community manager’s cell phone for emergencies. 5. Does the community manager have a college degree and / or industry certifications? Directors of the community must be college educated. They must have training and industry designation as well. Community managers must also attend seminars and industry events to stay current on changes in legislation. 6. Does the management company aggressively pursue homeowners who do not make payments on time for collection? It is the responsibility of an owner to pay HOA dues in accordance with the rules of the homeowners association. However, when an owner fails to pay their dues, it is the responsibility of the management company to collect the funds. The board of the directors should work with the management company to delineate an HOA collection policy, including the final letters, notices of demand and eventual liening of the home. 7. Is a community web site included in our monthly management fee? A website for your community association is a great way to help build a sense of community throughout your neighborhood. Other features should include access to forms, governing documents, closing forms, payment online access and emergency contact. There should also be an option for accounting integration. 8. What hours can the property manager be reached? A community manager should be available 24 hours a day. During the day which should be available through the office phone, email and cell phone and in the evenings and weekends, the management company HOA must provide an emergency service response, if a situation becomes an emergency. 9. Does the management closing account information before being transferred (sold) from one owner to another? When a request is escrow by a title company, this information should be shared with the title company and documented in the system of the management company. 10. It is the management company Owners Association a professional team of experts? The management company should be a team of experts with experience in professionalism and a commitment to quality service in order to properly service its customers the homeowners association. Give us fifteen minutes of your time and we can show you how to put your community on a fast track to success; if you don’t believe us, feel free to call upon any one of our satisfied clients. 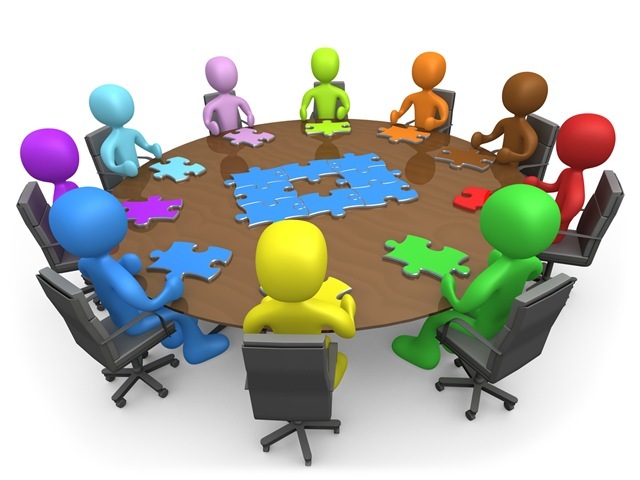 Without a board, a community association would cease to function. Many organizations are challenged to find enough volunteers to serve on the board, as some owners are afraid of being sued or becoming involved in a dispute with a contractor or, more worryingly, a neighbor. Some councils believe they must sue in the beginning instead of trying to solve a problem amicably. I believe that negotiation is the first action that all cards must be considered for resolving disputes association. Ask any board member, community manager, insurance agent or a lawyer what the number one recommendation is legal and financial. Certainly, all will tell you to avoid litigation. Litigation is costly and slow. More often, neither party ends up being what you want. Certainly there are times when litigation is the only resource, but I am convinced that most problems can be resolved through negotiation. After many years of experience in managing community associations, I can personally say that negotiation is resolved most issues at a lower cost and less distress to the association and the owners. Collecting delinquent assessments is a major problem in most associations in the community during these tough economic times. Quick reference instead of an attorney delinquent owners of the collection, first try to negotiate with the owner. Association of Community Boards have the authority to consider and offer payment plans to homeowners who have clearly shown a financial burden and they will to carry your checking account if you can extend your payments. The Council must ensure that a lien is presented for registration and the payment agreement made in writing by both parties. If all goes as planned, the account is updated, the board held to its fiduciary duty to the association and the owner defaulted greatly appreciates the fact that the board was understanding and compassionate. And the association does not spend time and money in litigation! The declaration of an association, the governing documents, become protagonist is another example of first negotiation to try before resorting to litigation. The successful partnerships in the community have clearly written policy resolutions establishing procedures for implementing the rules, including holding hearings and appeals process. Many rules violations can be resolved through negotiation. Most homeowners appreciate a manager and / or board that takes the time to explain a violation of the rules and why they issued a citation. Quiet, intelligent conversation, not confrontation really works. To be fair, reasonable and consistent, and approval of changes in your case, results in a respectful and rewarding in a community, residents and volunteer leaders to become star. These are just some examples of why it is better to negotiate and litigate only as a last result. Come on, become the protagonists. Focus on resolutions and save your association some big money!